When you join an online casino you want to be sure you are taking advantage of all of the benefits and opportunities as possible. Playing at an online casino is very exciting, but you can make it even more exciting by taking advantage of the bonuses that most casinos give you the chance to enjoy along the way. When you take advantage of the bonuses a casino has available you will need to meet the rollover requirements, or sometimes referred to as “wagering requirements”, before you will be able to withdraw the bonus of the winnings which came from that bonus. 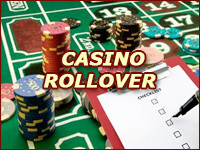 The rollover requirements differ depending on the bonus you are going after and the casino itself. The information below will help provide you with information on rollover requirements so you have a better understanding of how they work. What are Casino Rollover Requirements? Rollover requirements are the requirements which must be met in order for you to cashout the money from the bonuses. One of the first things you want to learn about these requirements is there is no way around them. You need to meet them to clear the bonus. Each bonus can have different requirements and this means you need to check the requirements every time you want to take advantage of a different bonus. The rollover requirements refer to the amount you need to wager to withdrawal the bonus or the winnings from the bonus. One example of this would be joining an online casino that offers a 100% welcome bonus. Let’s say you deposit $100 and receive a $100 bonus. If the rollover requirements for that bonus are 20 times the amount of the deposit and bonus then you will be required to wager 20 times the amount of $200, which would come to $4,000. One of the things you need to keep in mind is you only have to wager $4,000 worth of bets, bot lose that amount. While this may sound like a lot it’s actually easier than you may think to accomplish this without losing a lot of money. If you play the slot machines and you wager $1.00 per spin then each time you spin the reels you will be $1.00 closer to meeting the rollover requirements. Where do I Find Information on the Wagering Requirements? When you are reviewing any of the bonuses in order to determine whether or not they are the right ones for you, you need to take a close look at the rollover requirements. When you are looking at the main information for the bonus you may not see the rollover requirements listed. In order to view this information you may need to click on the “Terms and Conditions” link if the casino you have chosen offers the information in this manner which is the most common. However, since not all casinos are exactly the same you may need to contact the customer support team and ask about the rollover requirements. A sample of an casino’s wagering requirements in their T & C.
Why do Casinos have Players Clear the Bonuses in this Manner? The casinos have rollover requirements in place to protect themselves from losing a lot of money. If players could take advantage of bonuses without meeting those requirements they could go from casino to casino and collect the bonuses never to return. This would cost the online casinos a lot of money in bonuses that wouldn’t convert to return players, which is just what the bonuses are intended to do. In fact, this would lead to the online casinos going out of business because they would be giving away all of their money. The whole point of the bonuses is to draw prospective players to the casino and give them an added incentive to play at the casino in hopes of turning them into a loyal and repeat player. 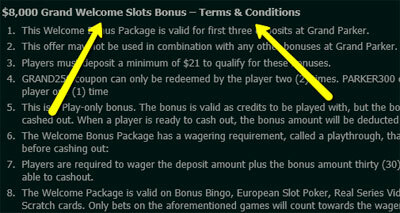 Since this is the purpose of the bonuses it makes perfect sense for there to be requirements for casino wagering. This way, the players will be able to enjoy the bonuses, but they will need to give the casino a fair shot in order to earn them. When it comes down to it, most of the casinos only ask the players to meet rollover requirements which are actually quite fair. Once they meet the requirements they get to reap the rewards of free money and some of the bonuses are very large and will really help them out. It is always important for you to read all of the information provided on all of the bonuses you decide to go after. Many of the online casinos will offer terms and conditions regarding the games that will count toward the rollover requirements. Some of the games the casino offers may be excluded from meeting the wagering requirements and other games may be impacted in other ways, such as counting more or less than other games. This is information you need to know when you set out to clear the bonuses. Some of the games that are often excluded from meeting the rollover requirements include craps, blackjack, baccarat, and video poker. The reason for these games often being excluded is due to the fact that they have a low house advantage and players would be able to get the bonuses and play a lot of even money games and leave with a profit a lot of the time. The bonuses have been set up in a way which is profitable for both the players and the casinos and many casinos feel excluding these games helps ensure they will see their fair share from the bonuses. Some casinos may not completely exclude certain games, but they can reduce the impact those games have on the rollover requirements. One example of this would be when a casino allows certain games to count toward the requirement at the rate of .50 on $1.00. 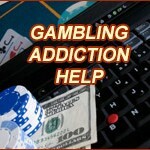 You always need to read the information the casino provides with regards to any and all of the game exemptions. This will be important information for you to know about when you set out to meet the rollover requirements for the bonuses you are trying to clear. Anytime you have difficulty finding the bonus information you are looking for you want to get into contact with the support team and request to be directed to that information. When you are looking at the different online casinos and the bonuses they offer it can be a bit confusing. 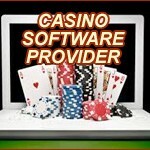 There are a lot of casinos and each one will offer its own bonuses with their own requirements. This can make it difficult for you to compare the bonuses against one another. However, there are some steps you can take that will help you to simplify the process. The first thing you should do is only consider the casinos that offer you the games you want and an all-around environment you will be happy with. The bonuses are only going to be worth it if you actually like the casino itself. 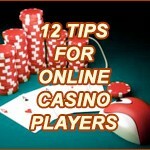 Once you narrow your search down to just a few good casinos you will find it much easier to compare the bonuses. Take a look at the sizes of the bonuses and the rollover requirements, as well as any gaming exclusions and then decide on the best casino and bonuses for you to make use of. How Hard is it to Clear the Bonuses? 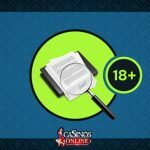 While it is true that some of the casinos have rollover requirements that are tougher to meet, they shouldn’t be that difficult as long as you make sure you understand all the requirements of the bonus and intent to play regularly on the casino. If you only play a few games once in a while and you’re not serious about spending a good amount of time on the casino then it will be hard for you to meet those requirements. You also need to be aware of the time limits you have for meeting those requirements. If you don’t meet them in time then you will lose your ability to claim the bonus and the winnings derived from that bonus. Casino rollover requirements are a necessity for the online casinos in order for them to protect their assets and livelihood. As long as you are a regular player who will be spending time playing the games that are not excluded from meeting the requirements then you should have no problem meeting those requirements. This means you will be able to take advantage of bonuses that can really help you out with regards to getting started at the casino. Not only can the bonuses be a big help, but you will also have a chance at going after those wins when you log in to play your favorite games. Anytime you want to take advantage of a new bonus it will be extremely important for you to review all the information for that bonus, as each one can have different requirements you need to meet even if they are offered at the same online casino. Now that you now more about the requirements you need to fulfill before clearing a bonus, see some tips on how you can clear your casino bonus faster.